Ba Bar serves upscale Vietnamese street food and some very fine cocktails in the former space of Watertown Coffee across from Seattle University. I had a fantastic pork belly, along with a Sazerac and then a Gilded Age (Domaine de Canton, Noilly Pratt Dry, Stone Pine liquer, Ricard, maple honey). 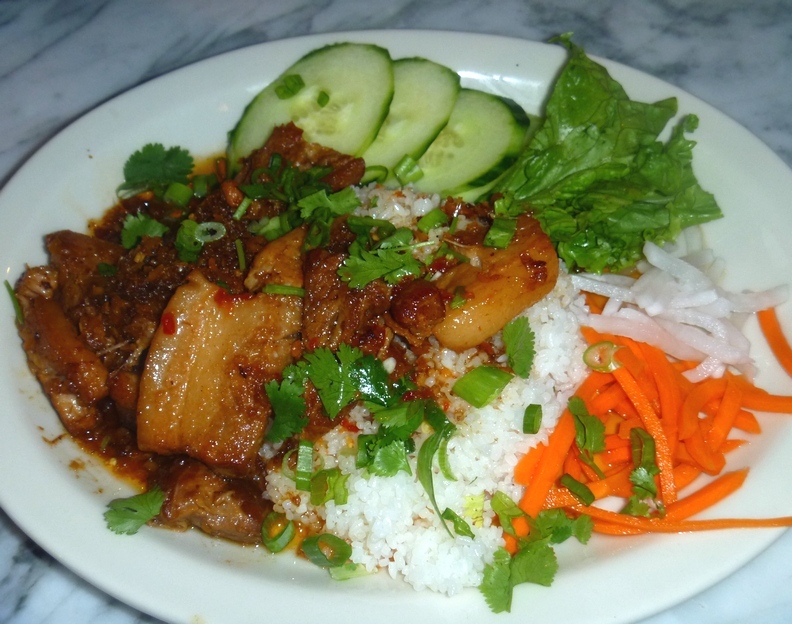 Ba Bar is from Eric Banh, the owner of Monsoon and Baguette Box, named for his Chinese father ("Ba" = father), and designed to reflect the spirit of a Vietnamese quan (cafe). Despite some early drama with the folks manning the bar, he has created a very comfortable space to enjoy just a drink and snack or a nice dinner. (The bar is now run by Even Martin, formerly of Chantanee.) 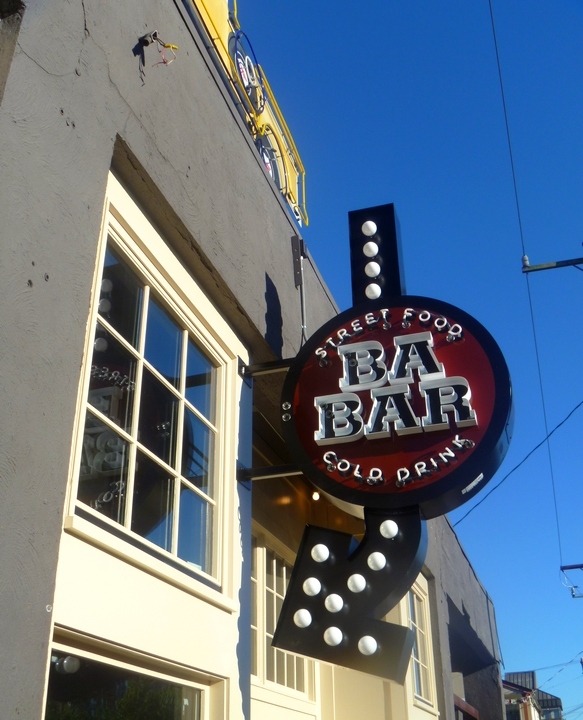 12th Avenue seems to be becoming something of a bourbon mecca -- Ba Bar stocks 175 types of bourbon alone and Jamie Boudreau's Canon which opened right down the street shortly after Ba Bar.